Measuring success is the largest hurdle to implementing an effective account based marketing (ABM) program, according to a new report from FlipMyFunnel and Heinz Marketing. Forty-one percent of respondents cited this as their top challenge. Other issues included having the right content for the right accounts, building out account data, and aligning sales and marketing objectives. 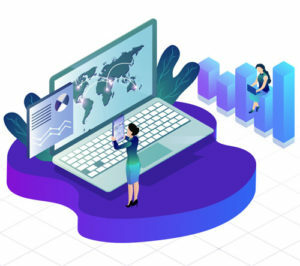 Seventy-three percent of respondents cited new business acquisition as their primary account based marketing objective, followed by pipeline acceleration (62 percent) and lead generation (52 percent). The most important KPIs tracked were revenue (54 percent) and pipeline (46 percent). As companies mature in their ABM initiatives, their focus on the tactic seems to increase. While nearly 40 percent of all respondents said they dedicate between 25 and 50 percent of their overall marketing budget to ABM, 47 percent of those with advanced ABM programs dedicate 51- to 75- percent of their marketing budget to it. The majority of respondents (41 percent) said account selection for ABM programs was a joint effort led by marketing; while 25 percent said it was a joint effort led by sales. Marketing drove the process for 15 percent of respondents, while 13 percent said sales took charge. Having the right lists is crucial for any successful ABM implementation. 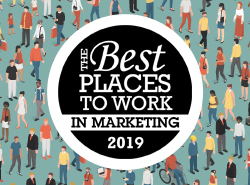 Nearly 75 percent said they create those lists using traditional segmentations such as industry verticals, annual revenue, geography and number of employees. 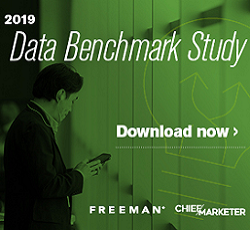 The largest percentage of respondents (39 percent) said they update their lists quarterly, while 18 percent update monthly, 22 percent on an ad-hoc basis and 10 percent yearly. Nearly six percent had not yet updated their lists. The number of respondents expecting an increase in their ABM budget in the next year decreased 23 percent from 2017, dropping to 59 percent. Thirty-seven percent expect it to stay the same, and only about three percent anticipate a decrease. These numbers reflect that many practitioners are past the initial investment phase, and are now focused on optimizing their existing programs. Those who do have the budget to make investments in their martech stack this year are considering tech such as ABM analytics or measurement systems (44 percent) web/content personalization (37 percent), intent tracking (31 percent) and account-level web engagement (25 percent). The majority of respondents (45.5 percent) have been practicing ABM for less than one year, with 39.8 percent using ABM for one to two years and only 14.7 percent for more than three years. Close to 40 percent characterized their ABM adoption as early-stage, while 30 percent said their focus was broadly focused on optimization. Another 21 percent said their program was just out of the pilot phase, and only nine percent said they had full sales/marketing alignment with their ABM goals and measurement. For the report, 211 B2B sales and marketing professionals were surveyed in late 2018. Sixty-one percent of respondents currently had an ABM program in place, and 63 percent identified their industry as technology/software. The remainder fell into a number of different verticals, including business services/consulting (15 percent), manufacturing/construction (six percent), healthcare (six percent) and financial services (five percent).